Right now, quite a few people are talking about the “open letter” to Warner Brothers from an allegedly former employee and Patty Jenkins’ response to it. Personally, I’m of the opinion that we should wait and see whether or not Wonder Woman is a good movie, but there are already people clamoring for the DCEU to be rebooted. However, this probably won’t fix any problems with it and may, in fact, make it worse. The DC Extended Universe now currently has three movies under its slate, none of which have been outright bombs, but none of which have been critical darlings either. Both Man of Steel and Batman v Superman had record dropping opening weekends, but both also saw a large fall-off during the second week. Suicide Squad is seeing somewhat of the same thing, with a recording breaking opening, but a steep Friday-Saturday decline, although we’ll have to wait to see how it does in its second weekend. So none of the films of the DCEU have been outright bombs, but while Man of Steel got mixed reviews, both Batman v Superman and Suicide Squad were savaged by critics. While the MCU’s second and third films (Incredible Hulk and Iron Man 2) weren’t well reviewed either, it was helped by the fact that it’s first film, Iron Man, was a surprise runaway hit and massive critical success, having a 94% on Rotten Tomatoes (please note: Rotten Tomatoes is a review aggregator and does not review movies itself). Compare this to Man of Steel’s 55%, Batman v Superman’s 27%, and Suicide Squad’s 27% and you see the picture. However, rebooting the DCEU wouldn’t fix it. We have many examples of reboots from the modern day, but there are two that exemplify the ways that a reboot can shake out: Batman Begins and The Amazing Spider-Man. Both were reboots of franchises that had seen better days — the previous movies for each had basically “killed” the franchise, with Batman & Robin being so ridiculously bad it’s mocked to this day and Spider-Man 3 being an overstuffed mess that barely made sense (and yet was still a financial success). So both franchises were rebooted. The WB gave the Batman franchise to auteur director Christopher Nolan, while Sony gave the Spider-Man franchise to Marc Webb, the director of indie hit (500) Days of Summer. Please note: both of these directors are objectively good directors. And, when they let them do what they wanted to do, they made pretty good films — and when Nolan had a great idea, they let him make The Dark Knight, which turned out to be one of the best Batman films. The difference between the two, however, become clear when you realize that Batman Begins and The Dark Knight were made prior to Iron Man and the creation of the first “Cinematic Universe,” while The Amazing Spider-Man was made after. It was quite clear that Sony wanted to create a Cinematic Universe of their own and so they pushed The Amazing Spider-Man 2 into including a lot more teases and tie-ins to the larger universe. Which (amazingly) backfired and resulted in less money than the previous film. Even the MCU’s own Iron Man 2 was criticized for doing the same thing, including a bunch of teases for things that weren’t in it, so much so that the next movie (Thor) pretty much focused exclusively on Thor and his surrounding cast, leaving Hawkeye with one scene to introduce himself (unlike Black Widow, who was an entire supporting character in Iron Man 2). So would rebooting the DCEU work to fix it like Batman Begins or harm it like The Amazing Spider-Man 2? Well, when you look at reboots that worked, they tend to have one thing in common: they were all helmed by people who had loved the property and knew what they wanted to do with it. For example: when Marvel got back the rights to Daredevil, they hired Drew Goddard to helm it. Goddard had stated for years that he loved Daredevil and knew pretty much exactly how to write him. Even after Goddard left, they picked Steven S. DeKnight, well known for not only his work on Buffy the Vampire Slayer (like Goddard, too), but also the violent and bloody Spartacus show. And then take a look at Dredd, another try at making a Judge Dredd movie after the awful Judge Dredd movie. It’s completely clear that Alex Garland, the writer, loves Dredd and science fiction (and he, in fact, went on to direct a critically acclaimed science fiction movie himself, Ex Machina). Notice something? Yeah, they all aren’t very good movies. And, in regards to the last two, Dracula Untold and Fantastic Four, the studios were clearly trying to create a Cinematic Universe with those as the start. Warner Brothers executives chose Zack Snyder to helm Man of Steel and Batman v Superman and Justice League. They also chose David Ayer and, when they worried about the reception of Suicide Squad, the executives were the ones who had the movie recut. And the executives aren’t going anywhere. They still want to make a Cinematic Universe to rival the Marvel Cinematic Universe (which is still bringing in the big bucks and critical successes). So even if you reboot the DCEU, you are going to get the same problems. Only this time, they will be remaking films you’ve already seen unlike movies that have never been made like Wonder Woman or Aquaman or The Flash. So what can the DCEU do? Well, here’s where having a competing example in the MCU comes in handy. The MCU’s Phase I was filled with films that ranged from great to meh. And it is still considered to have some of the weakest films in the franchise, even with both Iron Man and The Avengers. So Marvel took those criticisms and tried to do things differently. They both tightened their control over the films (resulting in them including more Loki in Thor: The Dark World and, weirdly, refusing a female villain in Iron Man 3), but also took risks in hiring directors that had never directed big blockbuster films before, like James Gunn and the Russo Brothers. It resulted in a much stronger slate of films that ended up bringing in not only enormous financial success, but also critical success, even with movies that nobody thought would succeed (go back and read all those articles about how Guardians of the Galaxy was the film that would make the MCU fail for the first time and laugh at them). Choose the right writers and directors. For the longest time, Marvel had a screenwriting program where unknown screenwriters would be given properties to try and write. Both Nicole Perlman (Guardians of the Galaxy, Captain Marvel) and Joe Robert Cole (Black Panther) were part of that program. Marvel also has the uncanny ability to pick good directors, directors specifically suited for their properties — Joe Johnston for Captain America: The First Avenger, the Russo Brothers for The Winter Soldier and Civil War, Joss Whedon for The Avengers, James Gunn for Guardians of the Galaxy. Aside from Johnston, who had directed a similar campy ‘40s movie in The Rocketeer, none of the other filmmakers had done anything like the movies Marvel gave them, but they each showed in different films the way they could do it: Whedon directed eight main characters and balanced them in one film in Serenity, Gunn directed a mixture of horror and humor in Slither, and the Russo Brothers have aped a ton of styles for Community and have shown they can do action and comedy very well. Have a plan...but be flexible with that plan. The MCU is pretty notorious with how it has planned out its movies until 2020 and beyond. But they didn’t start out that way — in fact, when they started Iron Man, they didn’t know at all if it would succeed, so the only hints at a larger universe they included where a reference to SHIELD and an after credits scene where Nick Fury shows up to talk about “the Avengers Initiative.” Some things are planned out, but some things are left up to the control of the director. Sometimes things happen outside your control, like suddenly inserting a whole other movie into your carefully planned Phase 3 (Spider-Man: Homecoming) or having to shift gears after a director leaves (Ant-Man). Set up a plan, but be prepared to throw away parts of the plan if things change or you figure out something better. Take things slow. The first film in the DCEU was Man of Steel. 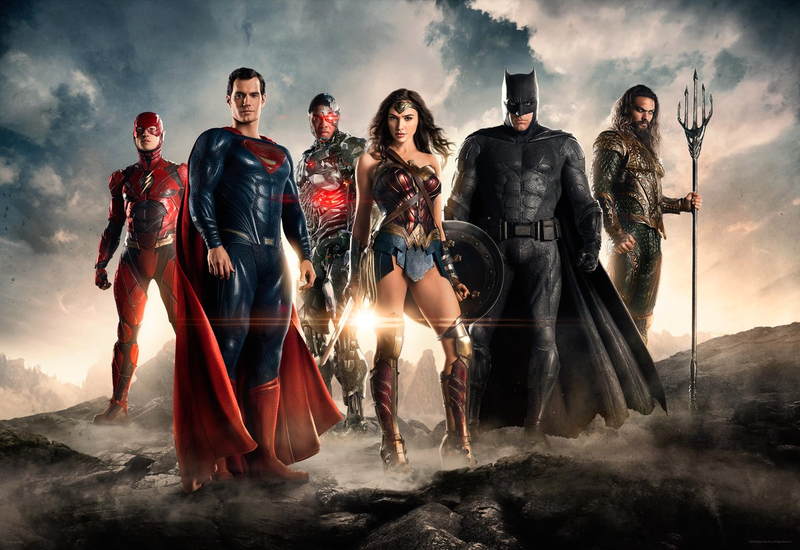 The second film was Batman v Superman: Dawn of Justice, where not only does Superman fight Batman, but the entire Justice League makes cameo appearances and their movie is teased and set up and Darkseid is are hinted at. Marvel made Iron Man and then made Incredible Hulk. And then, after Iron Man 2, they made Thor. And then Captain America: The First Avenger. And then, finally, The Avengers. It took six movies before any of the characters actually met each other (barring Iron Man and Black Widow). It will take three movies before the entire Justice League meets each other and it took only two for Batman and Superman to meet. And for Superman to die. This, I think, is probably the real issue. When Marvel Studios was starting out with Iron Man, they didn’t know if it would succeed, so they decided to just tease “the Avengers Initiative” and that was it. Nothing else. If this works, let’s do another and another and build things up until we get to the massive crossover movie. And it worked. The WB executives, however, can only see the bottom line of how much money it made and decided that they wanted that now. Instead of building up, they jumped in with both feet. Instead of making Man of Steel 2 or a Batman film or a Wonder Woman film first, they made Batman v Superman: Dawn of Justice. The film after that was a team-up of characters that had never appeared before. And then finally we get a Wonder Woman movie. And then a movie where Batman and Wonder Woman try to form a team of superheroes that we barely know. This is, perhaps, the hardest lesson for the WB to learn. To take things slow, they have to put off the immediate cash grab in order to make a better product. And part of that is also putting out films that had never been seen before — unlike Superman and Batman, who have had a dozen films between them, we’ve never gotten a Wonder Woman film before or a Flash film or a Aquaman film. When Marvel started with the MCU, all they had were the properties they hadn’t sold yet, properties that had either not been popular enough to buy or had failed so they reverted back to them. There had never been an Iron Man movie before or a Thor movie. There had been a few really crappy Captain America movies and Ang Lee’s Hulk, but that was it. None of them were trying to reboot a long-running film franchise. For the DCEU, putting all their eggs into the Superman and Batman basket was an easy decision. They were tried and true and they had made tons of money for them before. But it also meant that we’ve already seen it before and can instantly compare it to prior versions. So yes, the DCEU has made quite a bit of mistakes. They need to correct them. But here’s the thing: rebooting wouldn’t get rid of those mistakes. As we’ve seen from Amazing Spider-Man 2, the mistakes could simply be compounded. Instead of taking three movies, the WB might want to take one. They might declare that if Wonder Woman is a failure, they’ll never make another Wonder Woman movie. So please, don’t ask for a reboot. Reboots rarely fix things. Just look at the last reboot that DC did: The New 52. How Do You Solve a Problem Like the X-Men? Does Sliders Deserve a Reboot?